Thousands of music lovers across the country are assembling caravans and travel plans to set out towards the little town of Arrington, VA next weekend for the third annual Lockn’ Festival. With two impressive years to precedent and a stunning lineup featuring some of the biggest names in music today and yesterday, 2015 looks like another notch on the belt for festival co-founders Dave Frey and Peter Shapiro. Although the bands build the bill, musicians won’t be the only type of artists at Lockn’. This festival is a true celebration of regional craftsmanship, with some notable flair coming from those serving drinks and eats. For instance, you may find yourself asking, ‘Is that sizzling Bavarian Bratwurst I smell?’ while at Lockn’ next week, and that’s because, yes, you do smell handmade, farm fresh Brats. In fact, they’re brought to you by the chefs, butchers and farmers at The Rock Barn tent from just a few miles down the road. This is what sets Lockn’ apart. At some festivals it may be more practical to live off of hot dogs and a case of beer for the weekend, but with Lockn’s location surrounded by fertile farmland and foodie-friendly cities, it’ll be worth it to thrive somewhat gluttonously next weekend. The surrounding Nelson County is also famous for its Route 151 corridor, a travel destination with a plethora of award-winning wineries, breweries and cideries that will be serving up saucy favorites all weekend. With all of this deliciousness in one place, it’s going to be a busy weekend. So here’s our guide to must-taste vendors at Lockn’ Festival. From Crozet, VA, Starr Hill Brewery is the second oldest craft brewery in the state, forming in 1999, and has won 21 medals in various competitions all over the country. 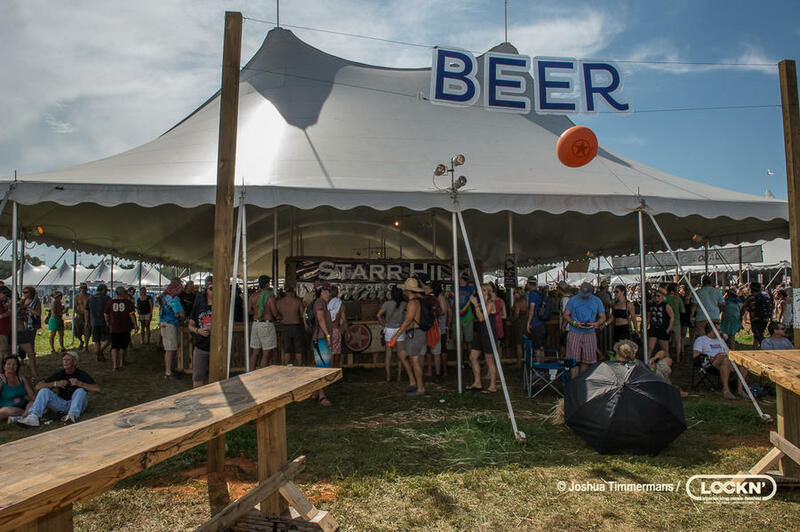 This brewery not only has a passion for outstanding beer but also for live music, and by attending Lockn’ the previous two years, Starr Hill continues to fulfill both missions. Be sure to try King of Hop, gold medal winner at the 2014 Virginia Craft Brewers Cup. This Imperial IPA comes in at 7.5% abv with tons of citrus and fruity notes. It only has 50 IBUs, making it a bit more sessionable than most double IPAs. Another beer the Starr Hill tent will be pouring at Lockn’ is the Reviver Red IPA, which was released just this spring. This IPA pours a beautiful red hue with a smooth balance between its citrusy hop character and a firm malt backbone. Blue Mountain Brewery opened in 2007 out of Afton, VA, and has not looked back since. The production arm of the brewery is only two miles from Oak Ridge Estate, making this the closest brewery in proximity to Lockn’ grounds. In addition to brewing, Blue Mountain also grows their own hops. These hops fuel their flagship beer, Full Nelson, a Virginia Pale Ale which is a must-try at Lockn’ this year. This session beer has notes of citrus and pine with strong hints of grapefruit that are balanced out by caramel malt flavor. Be careful though, at 5.9 % abv a few of these can sneak up on you! The name speaks for itself, but for those who don’t know, Sierra Nevada Brewing Company is the only brewery from outside of VA serving at Lockn’ Festival. Founded in Chico, CA and now operating at a second location in NC, Sierra Nevada is currently one of the top breweries in the country with its second best-selling craft beer, Sierra Nevada Pale Ale. Sierra Nevada has also created one of the most interesting beers today, known as Hop Hunter, made with distilled hop oil. The distilled hop oil preserves the aromatics that can only be found in fresh picked hops. Thus, it enhances the hop aroma and taste, making this one delicious IPA that may revolutionize the way future beer is made. If you have not had it, add it to your must-taste list at Lockn’. Devil’s Backbone Brewing Company is no stranger to great beer. Winning awards in competitions since 2009, this is the brewery tent where you may find yourself becoming a regular Gold Leaf Lager drinker. This brew is a crisp pilsner that will keep you refreshed on a hot Lockn’ day. Drinkers beware – it’s crushable. They will also be serving several of their flagship beers including the Vienna Lager and 8 Points IPA, as well as their Trail Angel Weiss. Whether you prefer red, white or both, it won’t matter because Lockn’ has everything to fulfill your wino needs. All of Blenheim Vineyard’s wine is impressively made from 100 percent Virginia grapes. At the festival Blenheim will keep price in mind, with white and red table wine on tap, as well as chardonnay and Cabernet Franc out of the bottle. 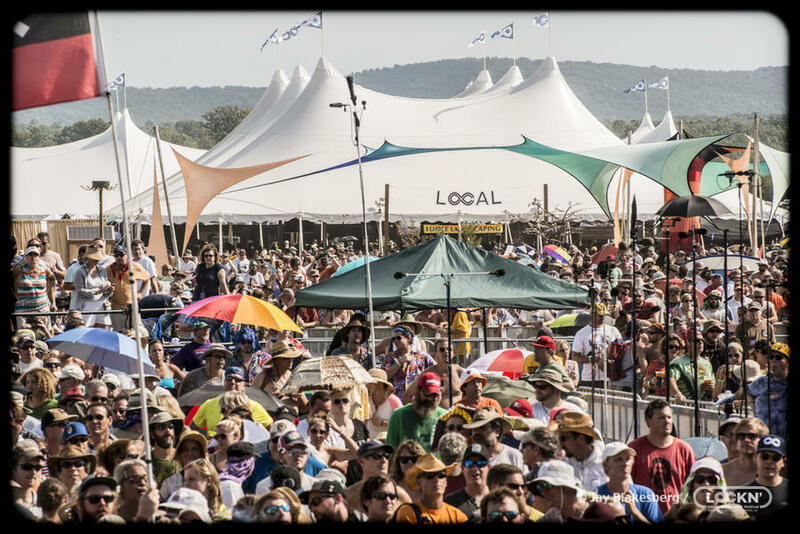 Other wine served at Lockn’ will come from Loving Cup Vineyard and Winery, a certified organic operation, as well as from the historic Prince Michel Winery. If you haven’t heard about Richmond’s Black Heath Meadery, you ‘mead’ to taste this while at Lockn’. This delectable nectar is created by fermenting honey. Similar to wine, mead will usually have a high abv, making this drink one to sip on. Black Heath Meadery is providing two meads specifically for the festival. The first is Don’t You Mead Somebody To Love, a cinnamon hibiscus mead, and the second is Valhalla Elder Medd, an elderberry and elderflower mead. Both will be produced in limited quantities, so try them while you can. 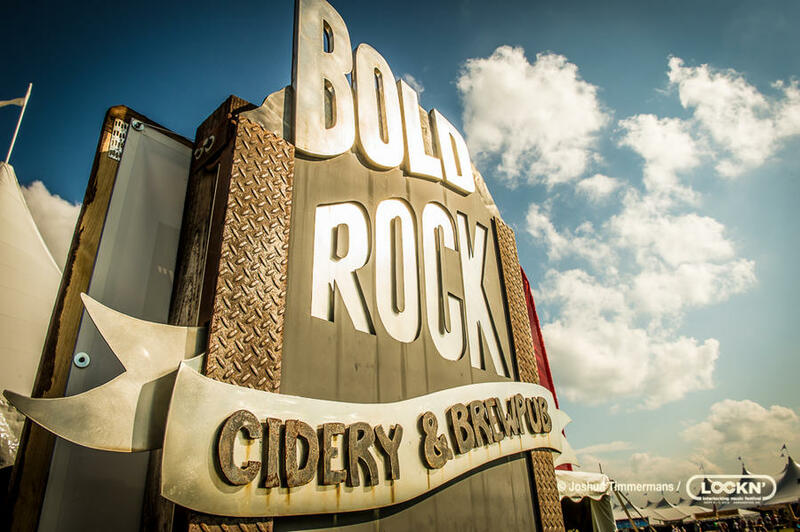 Bold Rock Hard Cider will rock it at Lockn’ with their award winning ciders made just down the road from festival grounds. Their Virginia Apple will be the go-to cider for the weekend, especially for Granny Smith lovers. It’s more dry than sweet and will be extremely crisp under the sun at Lockn’. Potters Craft Cider out of Free Union, VA will have cider for people with a more curious palate. Their Oak Barrel Reserve is aged in re-purposed brandy barrels from a local apple brandy distillery. This will add notes of caramel, vanilla and toasted oak to the fruity flavor, creating a complex cider with a dry finish. For the hop heads out there, Potters also has a hop cider that is dry hopped with whole leaf citra and amarillo hops, which provides a flowery, tropical aroma. Charlottesville’s Shenandoah Joe has been serving specialty coffee at Lockn’ since the beginning. This year they will be offering two premium microlot pour overs, grinded and brewed to order. They will also be serving two iced coffee drinks, one of which is specially geared towards hop heads. About the latter owner and roaster Dave Fafara says, “You’ll have to try it to see.” Also out of Charlottesville, Carpe Donut is another Lockn’ favorite. When it’s time for a morning snack, seize these circular pastries! Carpe’s are not just regular donuts; these treats are organic, locally-sourced and filled with pure cane sugar. If you have a sweet tooth, don’t leave Lockn’ without trying one. The legendary Bob Weir himself has been spotted ordering at the traveling Goatocado pop-up restaurant from Richmond. Our guess is Weir enjoys the healthy yet hearty pitas and quinoa bowls with ingredients straight out of the Goatocado farm. And yes, they use a lot of goat cheese and avocados. Serving “most with sweet, still some sweet,” The Pie Guy will bring a little bit of Aussie to the Lockn’ repertoire. These handheld pot pies stuffed with fresh, oozing goodness will be perfect when you want a snack but also desperately need your other hand to hold a beer, and the rest of your body for boogying. Another Charlottesville favorite finger food caterer is Blue Ridge Pizza Co., who will be serving – you guessed it – Pizza! This bready, cheesy, saucy classic is 100 percent wood-fired and agreeably replenishing. If you’re feeling adventurous, try The Peachy Pig, which comes topped with smoked bbq pulled pork, local peaches, green onion, mozzarella, and mad hatter drizzle. Exclusive to the Lockn’ Local Tent will be a vendor operating under the name Roughage. Freshly sourced ingredients and handmade everything is their motto, and being that they derive from the festival itself, you can’t get any more local than that! Surely Roughage will have exciting options that only experienced chefs can provide, making this a definite stop on your grub excursions. Tell us what vendor YOU are looking forward to at Lockn’, and be entered in our #locknaround contest to win two tickets to a Keller Williams fall tour show of your choice! TO ENTER, like The Poke Around’s Facebook page, share this post, and include the hashtag #locknaround. We will choose a winner on Monday post-festival.